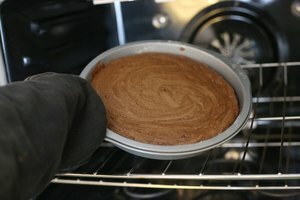 Recipes will tell you how to create a moist cake, but keeping the cake moist after baking is usually not found in a recipe. 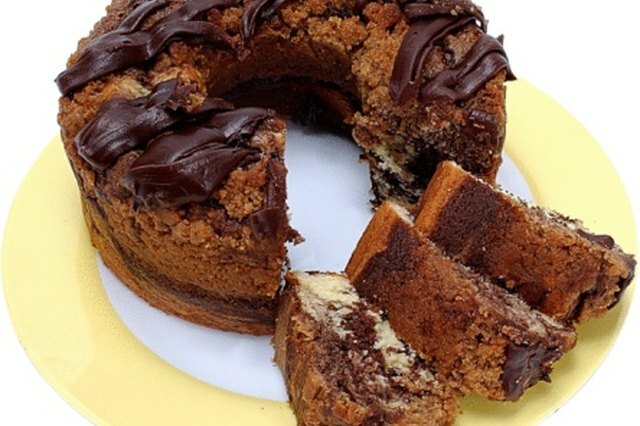 A moist cake starts with the right ingredients in the recipe and a cake that is not over baked. After the cake has been baked it is up to you to keep it moist. 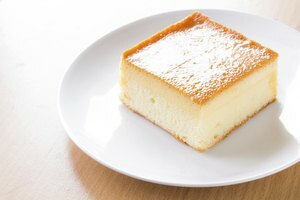 Whether it is for a cake order or to serve at a family party, a moist cake will keep them coming back for more. Cool the cake on a wire rack only until the cake is no longer warm to the touch. Wrap immediately in a layer of plastic wrap until it is ready for frosting. If you don't intend to use the cake for a few days, wrap the cake in two layers of plastic wrap followed by a layer of aluminum foil, and place it in the freezer. Allow cakes to thaw in wrappers overnight on the counter before eating. Place a saucepan on the stove, then pour in water and sugar to make simple syrup. Heat on medium heat and stir frequently until the sugar has completely dissolved. Do not boil. Remove from the stove top. Apply a coating of the simple syrup to the top of the cake using a pastry brush. If creating layers, apply a coating of simple syrup to the top of each layer before applying the filling to help keep the cake moist. Frost the cake immediately after it has been cooled to protect the cake from the air, which causes it to dry out quickly. Make sure that there are no parts of the cake peeking out from the frosting. Place the frosted cake in a cake dome or cake box immediately after frosting. Place half of an apple in the cake dome or box with the cake. Keep the lid over the cake at all times when it is not being served. Use simple syrup to keep cupcakes moist. Families; The Secret to a Moist Cake; Lisa P.